Throughout England and Wales there are approximately 165,000 registered charities, and most of these are small, volunteer-run, locally focused charities. We work hard to consider how our guidance meets the needs of small charities and produce tailored content such as annual return templates. We are also moving more of our guidance and meetings online as we recognise that many charity staff or trustees struggle to find the time to travel to London or big metropolitan areas for meetings and training. There are plenty of challenges small charities are telling us they face at the moment such as struggling to find trustees and dealing with a tough economic climate. There are a number of sector umbrella bodies that support smaller charities such as the Foundation for Social Improvement and Small Charities Coalition. As part of Local Charities Day, with funding from Office for Civil Society, FSI will be delivering 28 free workshops and 560 delegate places in eight different cities across the UK, as well as 20 online webinars. The Charity Finance Group also runs a Small Charities Finance Programme which provides support, training and resources for finance professionals in smaller charities. Local Charities Day falls a month after this year’s Trustees’ Week, which focused on stronger charities through good leadership. Many of the 1 million trustees in the UK work for local charities and volunteer their time in addition to having other jobs to help a cause that matters to them. However, we know that this can sometimes seem daunting or too much responsibility to take on, and that this often affects trustee recruitment in smaller charities. Trustees’ Week was a great opportunity to highlight opportunities for people from all walks of life to get involved and make a difference, but also to remind current trustees of the avenues of support and training resources that are available to them to help them do their role more effectively. There were almost 100 events listed on the Trustees’ Week website throughout the UK, including the Commission’s first webinar, which ran through the key things you need to be aware of as a trustee. Thank you to everyone that watched as well as those that shared questions and productive feedback. It is now available to watch on our website if you missed it and we hope to do a lot more in the future. There was a wide range of national, local and sector press coverage as well as MP support helping to spread the word about trusteeship. There were thousands of tweets using the hashtag #TrusteesWeek which also trended in the UK. Trustees’ Week next year will be on 13-17 November, so mark the date in your diary now! Local charities are the heart of our society and the voluntary sector, so I encourage you to do something to support them on Local Charities Day. Donate to a local cause through the #GiveMe5 or Grow Your Tenner campaign, for which the Office for Civil Society will match one time donations from the public by up to £10 and monthly direct debits by up to £10 for the first three months. 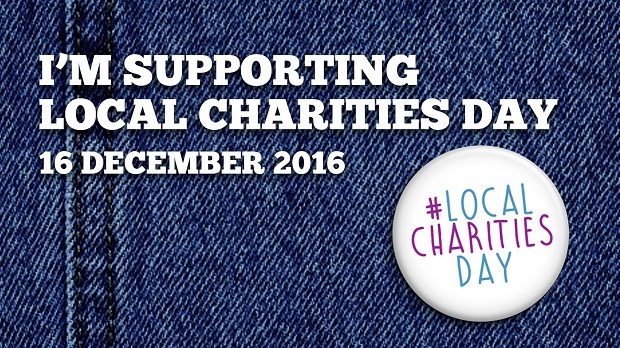 Or add the #LocalCharitiesDay twibbon to your social media accounts and spread the word online or face to face about good local causes that you’ve worked with, donated to, or been supported by. Small local charities are essential lifelines for thousands of vulnerable people all over the country. They need support from us all.